Home 1960s 1970s Retro Advertising Retro fads Retro food Mmmmmmm....Metrecal! 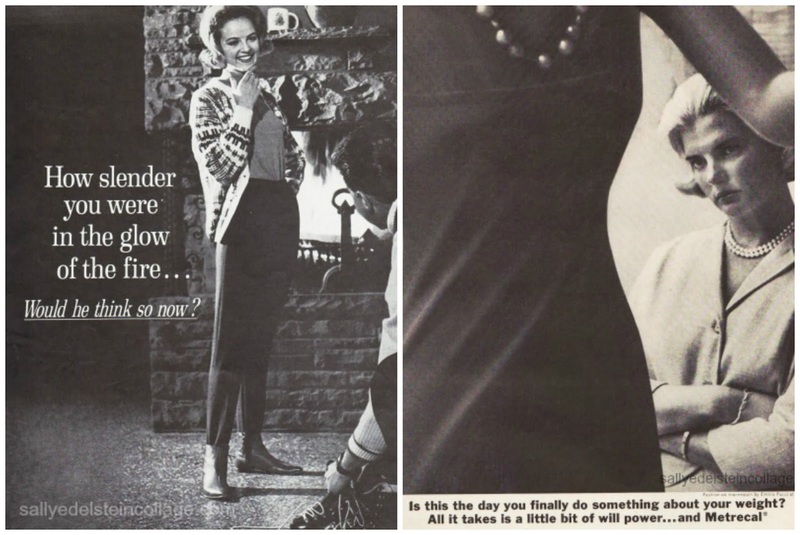 When I came across the vintage ad above for the diet drink Metrecal, I was both repulsed and fascinated by it. It looks like Pepto-Bismol gurgling (urrrgh!) in a bowl, but is actually the strawberry flavor of the product. It's ludicrous of the advertisers to think that consumers were going to opt for a can of Metrecal after they mention steak and potatoes in the ad…were they serious??? 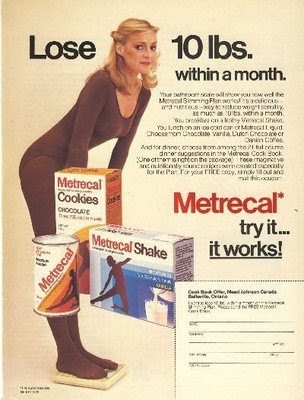 Yet, for several years, Metrecal enjoyed much success on store shelves and is often credited with kicking off the liquid diet phase of the 1960s. It was inspired by a concoction given to invalids and sick people (never a good thing) and originally came in a powder form made of skim milk, soybean flour, corn oil and vitamins and minerals that was mixed with water. 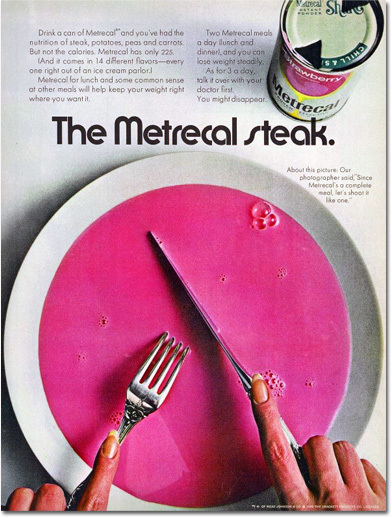 A couple of years later, Metrecal (the name was a combination of "metric" and "calories") started arriving on store shelves in cans of various flavors. Mead Johnson, the company that manufactured the product, advised consumers to drink four servings of Metrecal daily to lose and maintain weight. At a mere 225 calories per can, that means anyone on the Metrecal diet was subsiding on only 900 calories a day. Mead Johnson claimed that the hunger pains went away after a few days. Metrecal cookies, clam chowder (noooo!) and tuna with noodles were eventually added to the product line, despite the fact that many dieters reported that the liquid flavors were disgusting. In 1960, Time magazine published an article on the Metrecal craze and noted that some people added liquor to their Metrecal to make it more palatable. Here's a look at some Metrecal TV commercials from back in the day. I'd have to say that freezing the product to turn it into ice cream actually doesn't look so bad...but I still wouldn't try it. omg strawberry liquid steak? ewww. nope, can't beat the real thing. 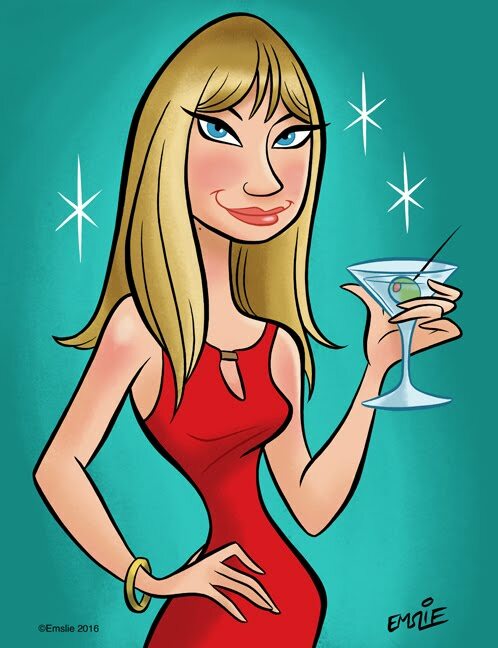 And what's the deal with being ultra skinny back then? I wonder why they chose such an unappealing colour? What a scary product! That is FOUL. On a more positive note, I love your blog header! My mother used this stuff for a while when I was small. No strawberry color that I can remember -- it came in vanilla and chocolate, both of which she liked.